The government oversight body also found the contractor had to maintain higher than planned workforce levels for longer than anticipated, hindering the program’s ability to control costs. NASA has informed Congress the telescope will likely exceed the $8 billion spending cap. The launch of the spacecraft has slipped from October 2018 to approximately May 2020. NASA has ordered an independent review of the program that is expected to wrap up by the end of May. The GAO’s assessment of the James Webb Space Telescope program is below. The James Webb Space Telescope (JWST) is a large, infrared-optimized space telescope designed to help understand the origin and destiny of the universe, the creation and evolution of the first stars and galaxies, and the formation of stars and planetary systems. It will also help further the search for Earth-like planets. JWST will have a large primary mirror composed of 18 smaller mirrors and a sunshield the size of a tennis court. Both the mirror and sunshield are folded for launch and open once JWST is in space. JWST will reside in an orbit about 1 million miles from the Earth. The JWST project delayed its planned launch readiness date by a total of at least 19 months from October 2018 to May 2020. In March 2018, NASA announced the most recent delay to approximately May 2020 based on a schedule analysis by its standing review board. This analysis showed that more time will be needed to integrate and test the telescope and spacecraft elements and conduct environmental testing. For several years, the observatory contractor has overestimated workforce reductions at the beginning of each fiscal year, but technical challenges have prevented the planned reductions and hindered JWST’s ability to control costs. As a result, the observatory contractor has maintained higher workforce levels than expected, and may continue to do so in the coming months. Along with the latest launch delay, this puts the project at risk of exceeding its $8 billion congressional cost cap. The JWST project has delayed its planned launch readiness date by at least 19 months, from the committed October 2018 launch readiness date to approximately May 2020. NASA announced two delays for the project since we last reported in May 2017. First, in September 2017, the project announced a delay of up to 8 months based on the results of a schedule risk assessment that showed various components of spacecraft element integration were taking longer to complete than expected. Prior to establishing the new launch window, the project used all remaining schedule reserves to address various technical issues, including a test anomaly on the telescope and sunshield hardware challenges. The new launch date included up to 4 months of new schedule reserves. However, by February 2018, the project had consumed the 4 months of reserves due to continuing challenges with spacecraft integration and test. Then, in March 2018, the JWST project announced an 11-month launch readiness delay to approximately May 2020 based on the results of a standing review board schedule analysis. According to the analysis, the previous launch date was not possible due to lessons learned during spacecraft element integration and test and propulsion system rework. The analysis further indicated that more time will be needed to integrate and test the telescope and spacecraft element sand conduct environmental testing. Due to these challenges, the observatory contractor has maintained higher levels of workforce than expected, and may continue to do so in the coming months. As a result, the project is at risk of exceeding the $8 billion congressional cap for formulation and development costs established in 2011. An external independent review board will conduct a schedule analysis, with the results expected in May 2018, to be followed by the agency’s final decision on JWST’s launch date in June 2018 and a report to Congress in summer 2018. After the launch date is determined, NASA will update the project’s cost estimate. The project and observatory contractor significantly underestimated the time required to complete integration and test work on the spacecraft element. Execution of spacecraft integration and test tasks was much slower than planned due to a variety of challenges including complexity of work and reach and access limitations on flight hardware. In addition, the observatory contractor has consumed several weeks of schedule reserves due to various workmanship errors, particularly with respect to the spacecraft propulsion systems. For example, an observatory contractor technician applied too much voltage and damaged components of the propulsion system, and reattaching the replacement components consumed 5 weeks of reserves. Also in May 2017, the observatory contractor discovered that valves in the thruster modules — which help control spacecraft on-orbit positioning — had been damaged by a cleaning solution and had to be refurbished. Reattaching the refurbished modules was expected to be complete by February 2018, but was delayed by one month when a technician applied too much voltage to one of the components in a recently refurbished thruster module. The observatory contractor continued to maintain higher than planned workforce levels in the past year, and may continue to do so in the coming months. For several years, the observatory contractor has overestimated workforce reductions at the beginning of each fiscal year, but technical challenges have prevented the planned reductions and hindered JWST’s ability to control costs. After completing negotiations on a cost overrun proposal in September 2017, driven by higher-than-planned workforce levels, the project is expected to issue a request for proposal from the observatory contractor in early 2018 for the costs for the remaining work through the new launch window. A cost overrun proposal seeks to increase the value of a cost-reimbursement contract when the total estimated cost is less than the contract’s estimated cost to complete the performance of the contract. JWST project officials provided technical comments on a draft of this assessment, which were incorporated as appropriate. It took 25 years from when a committee was created to look at buildung a large space telescope to the launching of the Hubble. 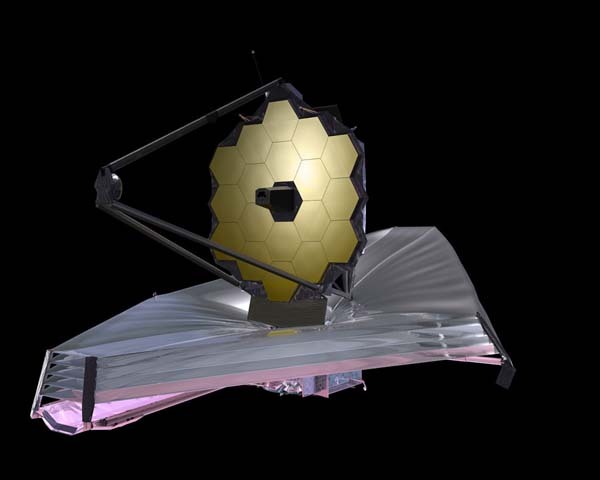 Why do you think they will be able to deploy the JWST any faster? It’s NASA afterall…. It´s a futuristic telescope… because we will never see it in the present. Holy carp! It sounds like they don’t have a ground qualification unit, or a proto flight unit, and if they don’t have those, then there’s no way they have a flight spare to test and qual their procedures on, and how the heck does the wrong cleaning solution get through QA to be placed in the presence of the valves? I’ve done spacecraft checkout, and you NEVER develop a test procedure on a flight unit, you have a ground support unit to beat on and torture, you never try something new or unscripted on a flight unit. My bet is they’ve been developing systems that won’t close out of the development phase. I have a sneaking suspicion that ‘someone’ told them not to worry that these systems have been done before, and then provided no guidance for national security reasons. If there truly is no ground support test articles, no engineering flight unit, (I can see no flight spare) then something is chewing up budget at a ferocious rate. When the ground crew overvolts the flight propulsion unit, that tells me they have not tested and practiced all their procedures on a flight like test article before they ever hooked up to the connector saver on the flight unit. All those safeguards, engineering spares, and flight spares and constant rehearsal of ground support and test activities are what makes government space and one off missions so expensive. How much real astronomy could you have done with the waste from this project? cost + says it all. webb has to be turning in his grave. This is the exact opposite of what he stood for. You probably could come close to increasing the Astro budget of the US by 50% for the 20 years it will have taken to develop this project. Now that said, JWST will be revolutionary if it works. This is a gamble. As many of you have noted before in this blogs comment section, there should be no reason for these kinds of gambles in the future. JWST is an act of desperation conceived in the 20th cen. Future space telescopes need never be these complex folding machines that are built to be out of human/technical touch for their entire lives. Future space telescopes can be assembled in orbit, in pressurized ‘hangers/docks’ tended to by humans in freefall able to get hands on access to everything. When asked why people still go on ground-based total solar eclipse expeditions, when we have satellites with coronographs, Jay Pasachoff rightly responded that for the price of one space mission, we could fund every ground based total solar eclipse expedition for the remainder of time. Not only that, but ground based experiments can measure the corona closer to the limb of the sun than space based coronographs can. I sincerely hope that JWST works. But I have serious doubts that it will. This fear goes all the way back to the late 90s when I saw a contractor demonstration of a JWST concept at an AAS meeting. When he tried to deploy the subscale demonstrator for me, it jammed. I just looked at him and said “if that happens on orbit, you guys are screwed”, then turned around and walked away as he furiously tried to get his demo to work. That contractor was not the one eventually chosen, but I’m not sure the ultimate contractor is any better. JWST is a cluster fu¢k of gigantic proportions. Ground based astronomy has a bright future. It’s only going to be helped by space based astronomy, and will be the training ground for space based astronomers for quite some time. Besides for space geeks there’s nothing like having photons from the natural object fall on your retina. There’s nothing like SEEING it for real. Way to make Elon Musk’s schedule problems appear insignificant by comparison. This is a truly ambitious mission, far more than your average telescope. A few hiccups maybe, but it is better to sort out these issues than cave in to pressure and launch something substandard. Patience will pay off.